Precis-BX316R is a GNSS PPK board designed for accurate positioning. It supports raw measurement output from two antennas: GPS L1/L2, GLONASS G1/G2 and BDS B1/B2 from primary antenna, and GPS L1/L2 from the second. 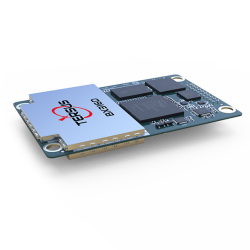 The SD card on-board (up to 32G) makes it convenient for users to collect data for post processing. Working with GNSS antennas, it can output stable measurement in challenging conditions, according to the company. Integrated with versatile interfaces and connectors, the PPK board aims at facilitating the applications, such as precision navigation, precision agriculture, surveying and UAV and enforcing effective GNSS data management. A specified connector makes it easy to integrate with other devices or autopilots. 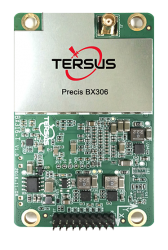 Earlier this month Tersus GNSS released its GNSS RTK Board, the Precis-BX306.